Hey guys! 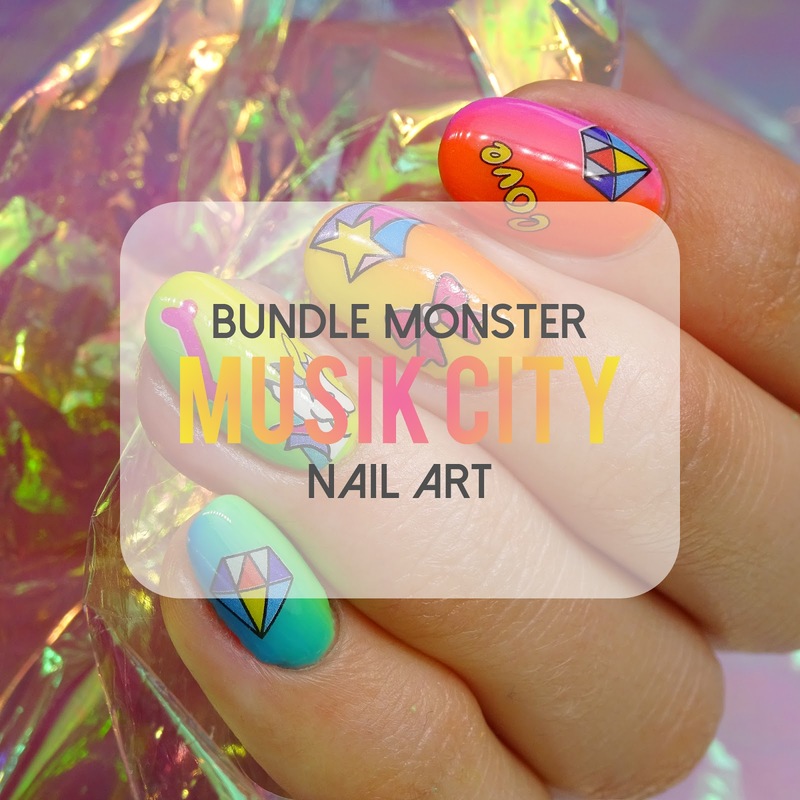 A while ago, Bundle Monster came out with the brand new Musik City collection. With new gel and stamping polishes, water decals and stamping plates. Today I will be showing you a nail art look using almost all gel polishes and some water decals. The decals are very easy to use and apply. 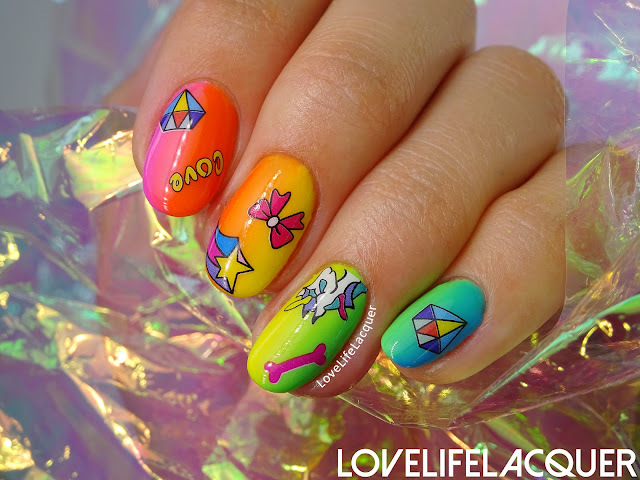 Just cut out your favourite image, put it in a bowl with water, take it out and slide the image onto your nail. 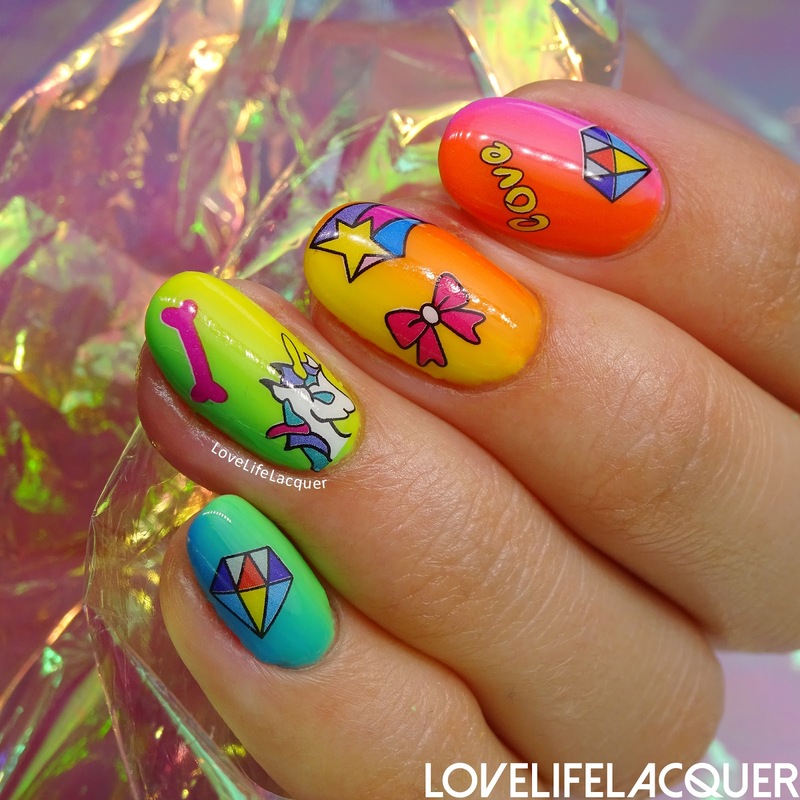 Fancy nail art in no time! Want to see more pictures? Keep reading! For the gradient I used five out of the six gorgeous (bright!) gel polishes. I started out on my index finger with Daisy Dust and Cosmic a-go-go. 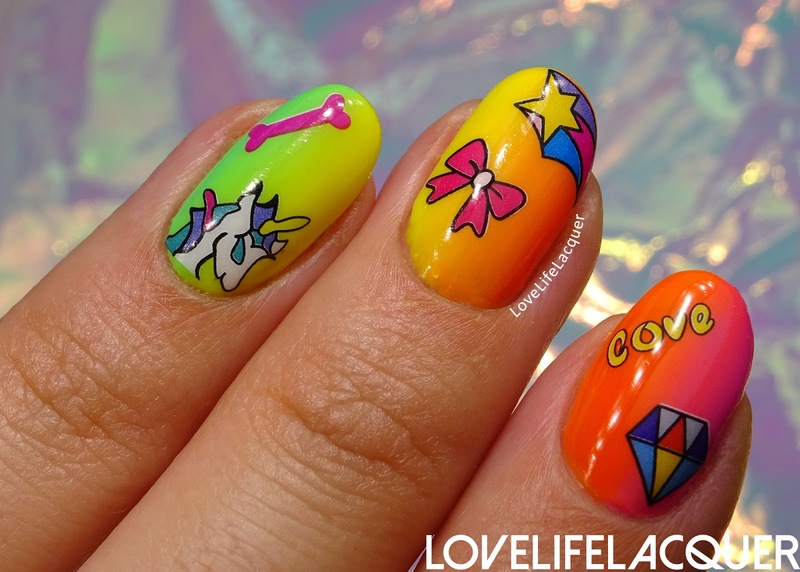 For my middle finger I painted on Cosmic a-go-go and L.E.D. Airwaves. Then, my ring finger is a combination of L.E.D. Airwaves and Fairy Fantastic. And finally, my pinky has Fairy Fantastic and Electric Fields. I added some decals, et voilà, all done! Gahhhh, look at that unicorn! So, so cute! 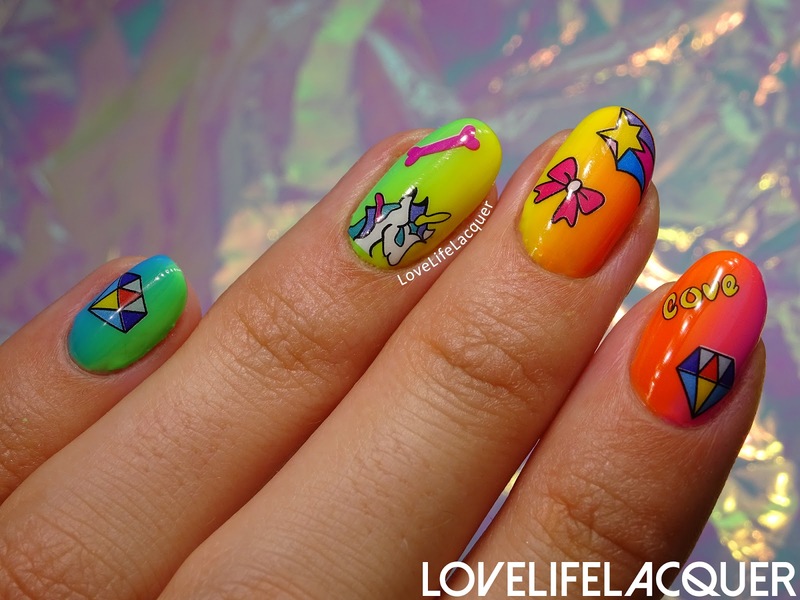 Neon Wasteland gel polishes are available for $6,50 and water decals sell for $4,50 (4 sheets). This weekend or so I will post my review and swatches of the new Neon Wasteland gel polish collection. Six bright and bold shades! After that, you will see swatches and nail art with the new Electro Glo stamping polishes. Love love love.